Including the new Galaxy Watch Active, Samsung now sells four different smartwatches, which is... a lot. It's also not easy to understand exactly how the company's latest fitness-centric wearable device differs from the "regular" Galaxy Watch or why the now confusingly branded Gear S3 and Gear Sport are still around. But bargain hunters need to know one simple thing - the Samsung Gear S3 Frontier and Galaxy Watch arguably deliver excellent bang for your buck at discounted prices of $169.99 and $206.99 respectively. That's what a top-rated eBay seller currently charges for "new other" devices with "slightly distressed" packaging and full one-year warranties, down from retail prices of $300 and $330 respectively. While both wearables have been on sale a bunch of times recently, these are without a doubt the best deals available today from a trusted retailer, quite possibly representing new all-time low prices for the two in like-new or so-called "open box" condition. By the way, it's not entirely clear what that means for every single unit sold by Quick Ship Electronics, but it generally entails a minimal degree of pre-owned action. Otherwise put, the marked-down smartwatches should look and work as good as brand-new devices. The Gear S3 Frontier is available in dark grey, with a 46mm case made from stainless steel, and a black "sport" band combining silicone and rubber materials for long-term comfort. Originally released way back in 2016, this naturally packs an older and slower processor than the Galaxy Watch and Watch Active, but it still looks great and does essentially the same things as its younger relatives without showing its advanced age. 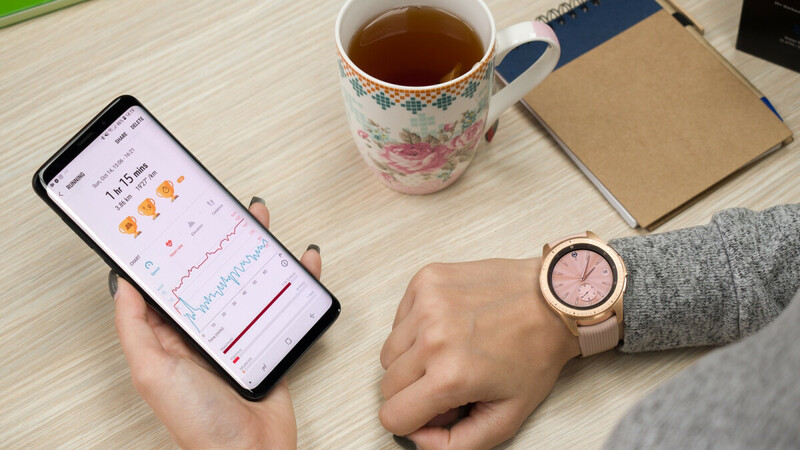 Meanwhile, the $207 Samsung Galaxy Watch comes with a 42mm case and love-or-hate rose gold paint job. There's nothing divisive about the convenient rotating bezel, however, which the Galaxy Watch actually inherited from the Gear S3 before the Galaxy Watch Active inexplicably kicked it to the curb. It's starting to seem like Samsung's newest smartwatch may not be affordable enough at $200.